We all know the dreadful feeling- you’re driving through a yellow light, hoping that it doesn’t turn red and set the red light photo enforced camera off. With the possibility of a ticket looming over our heads we vigorously check the mail for weeks, and to our dismay we discover the $100 ticket due to the city of Chicago within 14 days. 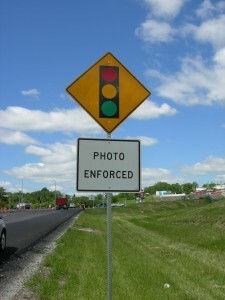 These impossible-to-avoid cameras seem to be at every intersection. But ticket-payers rejoice!! There is some good news for those who have received a red light ticket. Back in July, the city reached an agreement in a class-action lawsuit to refund those who were charged late fees. The city was in direct violation of their own law to give out second notices before charging late fees- which were double the price of the original ticket. If you had a violation between March 23rd, 2010 and May 17, 2015 you may be eligible of a refund up to 50% of what you paid. The city mailed out notices to those who were possibly affected by this lawsuit with instructions on how to file a claim. But, you can also click here and go to the City of Chicago’s website and enter your information to see if have an eligible ticket. You must file a claim by December 11, 2017 so make sure to submit them as soon as possible!! The city will pay up to $38.5 million in refunds and they will be paid out next August. And as always, if you have questions regarding this or any other law don’t hesitate to contact us and one of our skilled attorneys will be happy to assist you.